Theme: God’s faithful and generous people respond to God’s call to follow, to serve, to love, and to steward the gospel. The going isn’t always easy, and the “fishing for people business” is risky and tough, but we are never alone. Together we are the Body of Christ that lives and breathes the message. Is responding to Jesus’ call to discipleship a stewardship issue? More specifically, does it make a difference how we respond to Jesus’ call? We’ve heard the “fish for people” lesson; it’s not a new story. Simon, James, and John heard the call and went—leaving everything behind. I don’t know about you, but that seemingly impulsive response causes me more than a little discomfort. Luke’s account of the story is in itself fascinating. Jesus commandeers Simon’s boat to avoid being pressed by the gathering crowd and asks the fisherman to put out a little ways from the shore so that he can teach. Don’t you wonder how Simon received Jesus’ message and teachings? After Jesus finishes he instructs Simon to head out to deep water and let down the nets. Simon has already been fishing all night—he was cleaning his nets when Jesus first approached him—and had been unsuccessful. Still, he complies with Jesus’ instructions. What must have been going through his head? What kind of craziness with this radical rabbi had he become enmeshed in? The result of following Jesus’ instructions is a catch so big the nets start to break and the boats begin to sink. Simon must have attributed this miraculous event turned near disaster as a reflection on his sinful condition, so he implores Jesus to leave. This simply was all too wondrous to behold. Jesus responds by telling Simon not to be afraid for he’s going to catch people now. And away they go! Would dropping everything to follow Jesus really be good stewardship in the 21st century? Would it be wise or prudent to walk away from job, family, 401K, and other forms of security to take such a great risk? After all, we know how Jesus’ short ministry ended, and even proof of the resurrection couldn’t shake the fear and confusion and doubt out of some of his closest confidants who had left it all behind. However, that fear and doubt is not the end of the story. We know that. We know how the fledgling church, emboldened and equipped by the power of the Holy Spirit, facilitated a movement that persists to this day. Sure, we don’t know the details of how they responded to the call of the gospel, but what we know is that they made it work. No doubt sacrifice was involved; for some Christians this meant losing family, friends, livelihood, or even life. The fact remains they did it. They heard the call, and they responded, becoming fishers for people. Rich, poor, insider, outsider, women, men, Jew, Gentile all contributed to the spread of the gospel and to the marks of discipleship for which the early church was known: prayer and worship, study, radical hospitality and care of neighbor, community and relationship, and extreme generosity. That’s stewardship of everything, my friends! The marks of discipleship still need to be taught and practiced today. How else can 21st century disciples be fully equipped to discern God’s will and the Spirit’s gentle (and not so gentle) nudgings? How else can we manage the mechanics, if you will, of what it means to sacrifice and give up what needs to be left behind in order to follow Jesus? No one is asking that we check our brains and common sense at the door, but God does expect a full commitment, holding nothing back that will hinder us from following Jesus, from loving God with all our heart, mind, and being, and to loving our neighbors as ourselves. That is a tall order. It is a radical commitment. In a world of individualism, self-gratification, consumerism, and fear of never having enough, this can be a downright scary proposition. Yet, once Jesus gets a hold on your life, your heart, your mind, and your soul, you will be willing to drop everything that it takes to follow him. Finally, lest this call seem too heavy to bear, take comfort in this fact: Jesus did not call one person. He called a dozen close disciples, and they in turn called and equipped others. We do not journey alone. Together in community we are stronger–and the “fishing” is better, too. Consider using the Latin word “vocare” (to call, to name, to invoke) to talk about our call to serve God. If you have not shared your call story with the congregation, consider doing so today. If you have a seminarian serving in your congregation, ask him or her to consider sharing the story of how he or she came to answer God’s call. The Galilean fishermen followed Jesus immediately. Why are we so hesitant and uncertain? How can we work together to build up the Body of Christ so that all disciples can be good stewards of the gifts with which God has endowed them? What would it mean if every member of the worshiping community where you lead and serve decided to answer God’s call to serve somehow, some way, according to their gifts and talents? Perhaps include a bulletin insert with the word “Vocare” at the top of the page. Perhaps include part of the gospel story on the sheet, too. Invite each person to ponder how God is calling them this week and to use the bulletin insert to record their thoughts. Invite them to consider one small action or one small way they can serve God and follow God’s call to discipleship. Remind them that following the call to discipleship is not a one-time deal but a lifetime adventure. How about singing “We are Called” this Sunday (Evangelical Lutheran Worship #720). The words are appropriate for the season of Epiphany and at a time when many are wondering how they can make a difference in a culture of division and chaos. Alternatively, consider singing “You Have Come Down to the Lakeshore” (Evangelical Lutheran Worship #817). Do you have any commercial, professional, or skilled amateur fishermen or women in your congregation? Invite them to come talk with the youth about fishing. What are the risks? The joys? The sacrifices? 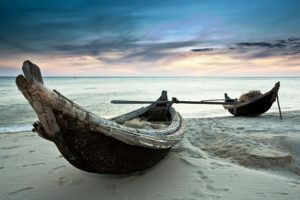 Invite your guests to share how they respond to Luke’s account of the call of Simon, James, and John to follow him and leave their nets and boats. What do they hear in the story, and how does it affect or impact their discipleship? Invite the youth to think about how they are fishers for people in their own context. What seems inauthentic or authentic about catching people? What might they need to drop in order to follow Jesus and become a fisher for people? Create some cardboard “Fish” with human faces Put a magnet on the back of the head. Set up a “fishing game” and invite the children forward for a game of “Fishing for Folk.” Make a simple “pole” with a stick and some string with a magnet on the end. Have the children “cast” their line behind the “water wall” you’ve created from a posterboard or sheet. Have someone behind the “water wall” helping to “match” a fish with the line. Once the children catch a few of these strange fish, ask them what they notice. Once they comment that the fish have human heads, talk with them about how Jesus invites us to fish for folk. Granted, folk won’t look like mutant fish, and we won’t use a line and bait. Instead we just share the good news of Jesus and trust that the “catch” will be an abundant one. 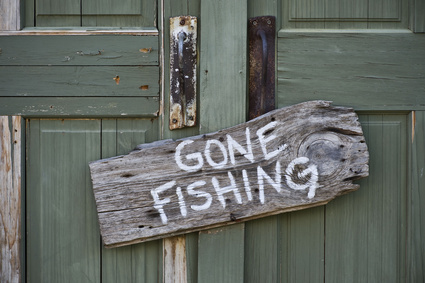 Finish with a simple prayer for good fishing and faithful growth. Responding to Jesus’ call to fish for people IS a stewardship issue, but would dropping everything to follow Jesus really be good stewardship in the 21st century? Would it be wise or prudent to walk away from job, family, 401K, and other forms of security to take such a great risk? It seems that this is what Simon, James, and John did in today’s gospel lesson from Luke. Maybe the dropping everything today involves laying aside anything that would separate us from Jesus. After all, Jesus tells us not to be afraid. If we trust him to guide us, equip us, and show us how to fish for people, then why should we doubt that the result will be more than we could even imagine? 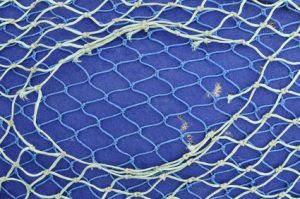 Perhaps we need to drop our “nets” on the other side of the boat, in a new direction, away from what we’re used to. The most important thing is to trust our Lord. Don’t be afraid, faithful steward. Trust Jesus to teach you how to fish. How many of the people in your congregation do you know? Spend time this week seeking to get to know at least one member of your faith community with whom you are not familiar. Do they have a family? If so, learn their names. Listen and learn about their likes, their hopes, and their dreams. Look for common ground you share. Consider getting small groups together for a potluck or dessert. Have a game night. Work on a service project together. How can we be the Body of Christ if we don’t know one another? How can we function effectively if we don’t share and communicate? How can we even begin to fish for people if we don’t know the other folks in the boat? When we begin to develop real relationships, then our community bonds strengthen and deepen, and we gain confidence to share the gospel with others. Photos: © W.Scott and © avarind, Fotolia.com. Thanks! Note: Reprint rights granted to congregations and other church organizations for local, nonprofit use. Just include this note: “Copyright (c) 2016, Rev. Sharron Blezard. Used by Permission.” Other uses, please inquire: thewritelife@hotmail.com.